The Delta City Steel Sectional by BenchCraft turns a living room into a place for individual relaxation. A soft textured microfiber upholstery fabric, beautifully surrounding the boxed back cushions, stylish tufting and supportive seating, unique shelter arm design ensure the awakening of your decor. The collection comes in three different colors: Rust, Chocolate and Steel, making it adaptable to many living room designs. Are you dreaming of a living room that is as inviting as it is personal? You do not have to be an interior designer to realize you dreams. You can find our latest inspirations and interior design ideas at FurnitureCart. Have you ever wanted to refresh the look of you home with colorful furniture? The bright and vibrant colors can change you interior very drastically. It is a powerful tool to inspire emotions, create space illusions or simply set the mood with healthy and beautiful atmosphere for any particular room. 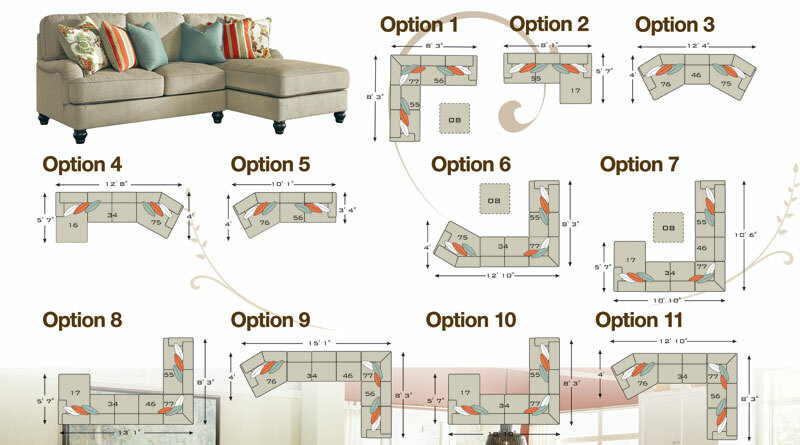 Consider, for instance, the Kerridon Sectional Collection by BenchCraft. It provides a breath of fresh air with brightly colored accents. Polyester upholstery covers sturdy frames. The feet feature exposed shape with faux wood finish. Curvy Charles of London arms stand out against the clean, straight lines. Corner chaise, loveseat, armless chair, cuddler and wedge include decorative pillows with feather inserts and hidden zippers. Ultra Plush loose seat cushions remain loftier longer thanks to two layers of cushioned comfort: high-density foam core encased in thick polyfill. Accent chair has colorful Jacobean-print upholstery and tapered legs. Ottoman has storage beneath the removable seat. 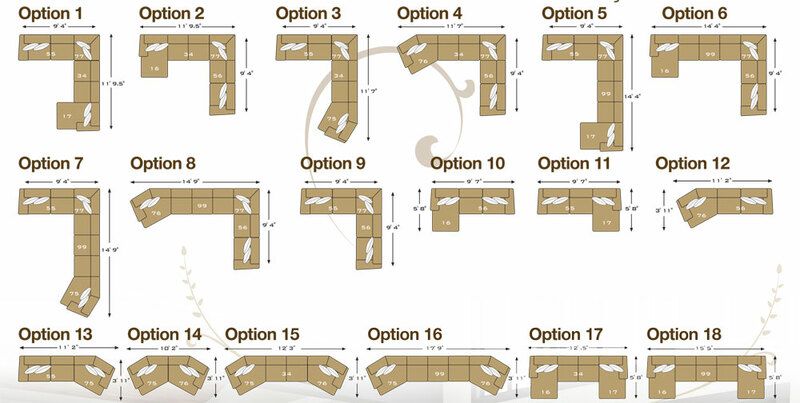 The other option would be the Sagen Living Room Collection by Signature Design by Ashley Furniture. With rich vibrant colors and an artistic contemporary design, the Sagen features subtly textured microfiber upholstery wrapping around the bold shapes and plush cushions to create a stylish collection that is sure to awaken the decor of any living room environment. The Sagen Living Room Collection provides you with comfort and fresh colors. Teal, Sienna and Basil are especially very good for summer, helping you to cool off a little. We provided you with some color ideas, now it’s your turn to use imagination and design your room with vibrant and bright colors that make your room looking fabulous and making you happier. Follow your dreams, wake up your space with bright and colorful furniture!